More and more people avoid dairy in their diet, due to beliefs arguing that dairy may be detrimental to health. This article examines some clinical evidence and provides information for health professionals to enable them to help their patients make informed decisions about consuming dairy products, as part of a balanced diet. By understanding fully the accumulating scientific data in this area, health professionals can play an important role in dispelling these beliefs surrounding dairy products. Despite that the benefits for bone health are well established, some people adopt dairy free diets, due to beliefs that dairy may be detrimental to health, for instance, according to weight management or lactose intolerance issues. This commentary from the Belgian Bone Club and the European Society for Clinical and Economic Aspects of Osteoporosis, Osteoarthritis and Musculoskeletal Diseases focusses on the most robust available evidence, and where possible with the most recent publications consulted. Dairy products, which are part of the official nutritional recommendations in many countries worldwide, provide a package of key nutrients that are difficult to obtain in diets with limited or no dairy products, such as vegan or dairy restrictive diets. In addition to include calcium with a high absorptive rate and availability, the authors notes that dairy products provide more calcium, protein, magnesium, potassium, zinc and phosphorus per calorie than any other typical food found in the adult diet. If dairy products are excluded, calcium, potassium and magnesium are the nutrients most at risk, pointed the report. Serge Rozenberg et al stated that there may be a weak association between dairy consumption and a potential small weight reduction, with decreases in fat mass and waist circumference and increases in lean body mass. They specified that both yogurt and hard cheese are well tolerated, so that lactose intolerant individuals may not need to completely eliminate dairy products from their diet. Regarding the belief that eliminating dairy products would be useful for arthritis, they stated that there is no evidence for a benefit to avoid dairy consumption. Dairy products do not increase otherwise the risk of cardiovascular disease, particularly if they are choose in low fat version. They concluded that the intake of up to three servings of dairy products per day appears to be safe and may confer a favorable benefit in bone health. To learn more, read the original article. Source : Rozenberg et al. Calcified Tissue International. 2016; 98: 1–17. New Nordic Diet as public health-strategy: what about dairy? What is better for your bone health? 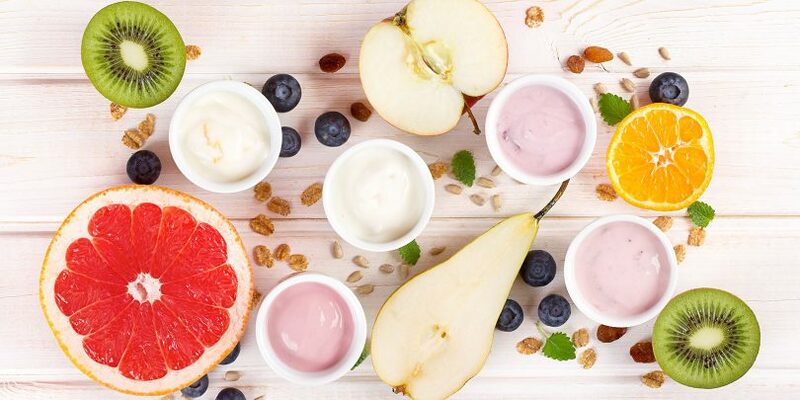 How greek yogurt benefits your health?